The airport of Gran Canaria in Las Palmas (Spain) has four passenger boarding bridges supplied by our company. AENA (Aeropuertos Españoles y Navegación Aérea) signed the purchase contract for the supply of 3 passenger boarding bridges in 1993 and for another unit in 1999. 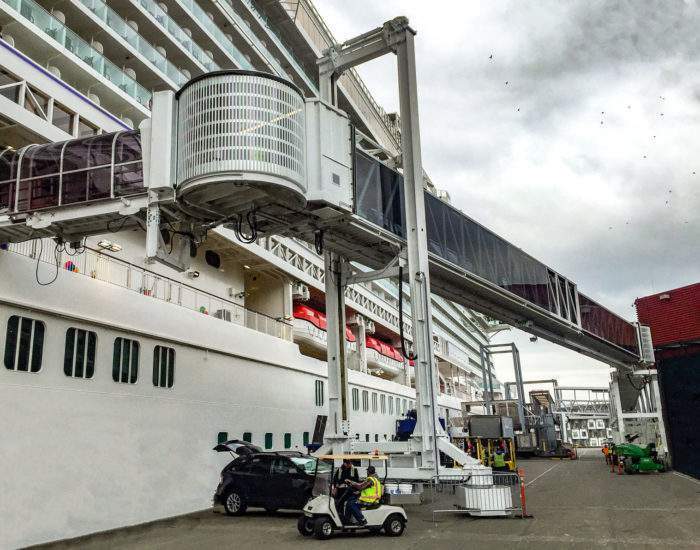 The first passenger boarding bridges were installed in 1994 and this last boarding unit was installed in October 2000. 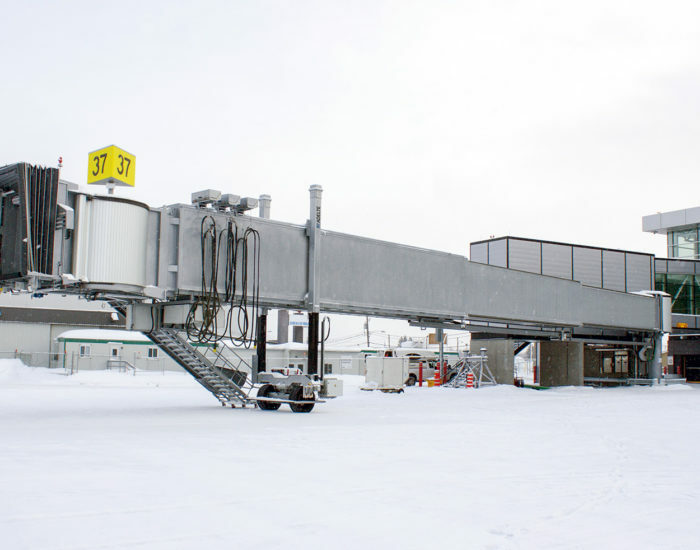 The first three passenger boarding bridges to be supplied were of the Apron Drive type, three – section increasing metal units, model PTT-185/327-3C, the fourth is another Apron Drive model, two – section increasing and of model PTT-188/290-2C measuring 29 metres in length. 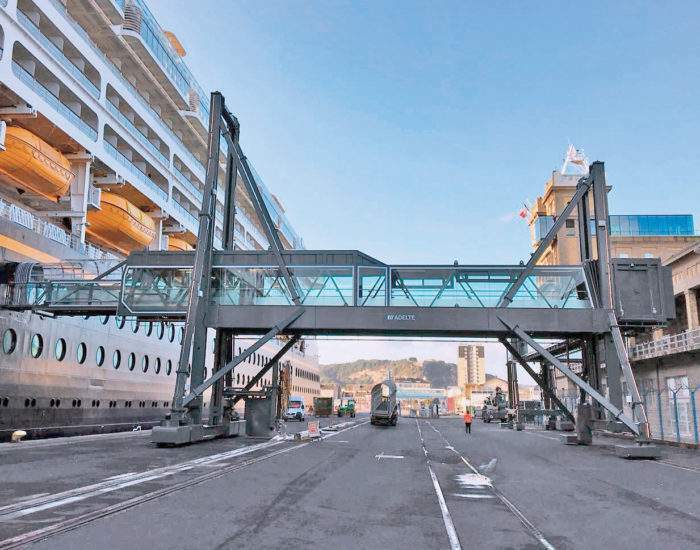 The exterior of the passenger boarding bridges is in a smooth finish, with stainless steel guide tracks and a rectangular design. In the interior, these boarding units are equipped with a buttoned floor, high pressure shaped panels, air conditioning (AC) and halogen lamp lighting. The lifting and traction mechanisms have an electric activation system. 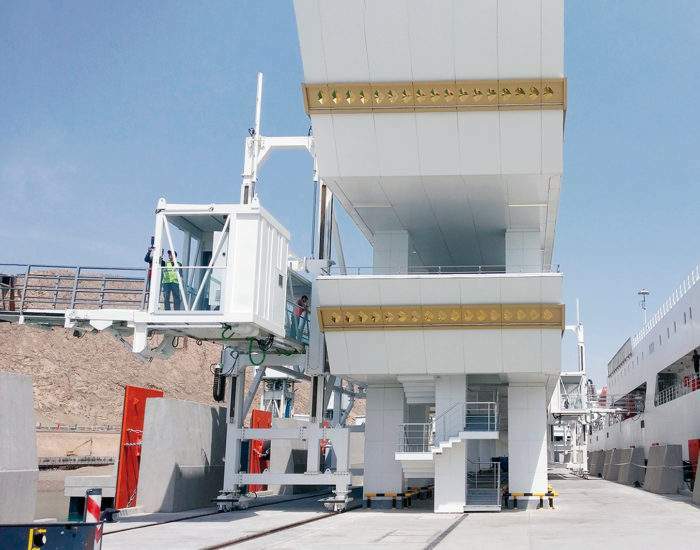 In addition, the passenger boarding bridges have been fitted with 400Hz installation facilities.